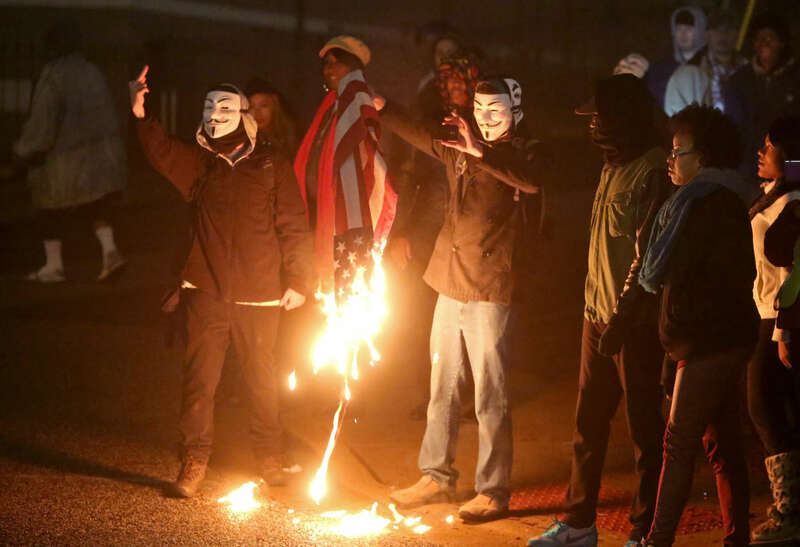 Protesters burn an American flag across the street from the Ferguson police department to taunt National Guard troops and police lined up outside the station on Thursday, Dec. 4. 2014. After the flag burned protesters threw the flag on the ground and National Guard troops walked across the street and picked up the charred remnants of flag so they could properly dispose of it.